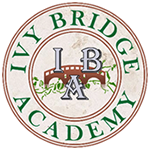 Ivy Bridge Academy offers Math Tutoring, Math SAT Prep, and Math Summer Camps in Algebra, Geometry, and Calculus. Our Math Tutoring offices are conveniently located in the heart of Alpharetta, Johns Creek, Suwanee, Georgia. Did you know about Math…? A 2008 study on international benchmarks in mathematics found that out of the industrialized OECD (Organization for Economic Cooperation and Development) countries, U.S. fourth graders performed at a level of math proficiency 9% higher than the average while U.S. eighth graders dropped to 2% below the average (Phillips, American Institutes for Research 2008). This progressive drop in math proficiency, however, is not across the board for all students. There are many students who continue to maintain their above average proficiency in math throughout their middle and high school years. This has led to a growing gap between mathematics ability levels in high school students: some students in public high schools have the ability to skip up to three grades in math, whereas some students are held back one year. In comparison, most public high schools do not allow students to skip grades in subjects such as English or History. These results indicate that American fourth-graders have mathematical capabilities well above those from the average industrialized countries, while performance and interest levels in mathematics drop below the average as results are conducted for students of higher grade levels. We are now offering SAT & ACT Test Prep Programs, and Private Tutoring. You can get more information HERE. Ivy Bridge Academy 11180 State Bridge Rd #205 Johns Creek, GA 30022 Or Call 404-519-7715 Susan Rhee, Administrator Questions? Contact Us.